Being the best mom I can be means that I am looking at all the things I am bringing into my kids lives, and that doesn't stop when I do the laundry. 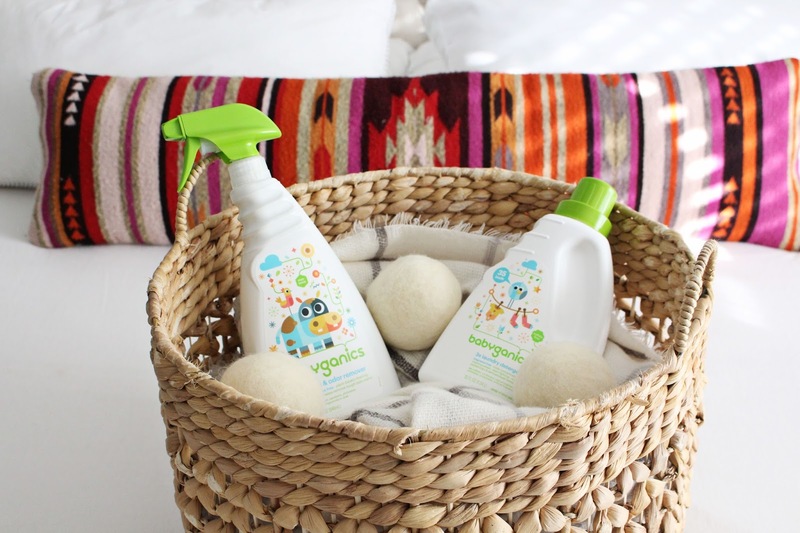 It's no secret that most cleaning products are filled with nasty stuff that I just don't feel comfortable having around my kiddos, and it's also no secret that Babyganics has some incredibly baby-friendly laundry products you should try. You can find them at your local Babies "r" Us. They have these 100% natural wool dryer balls that have filled the place of conventional dryer sheets and fabric softener for me. Their fragrance free + plant based laundry detergent is one of my very favorites, and their stain removing spray has me not so tense in my seat when my daughter drips that mandarin orange juice and drool all over her new sweater. "As parents, it's our mission to raise the next generation of healthy, happy babies. 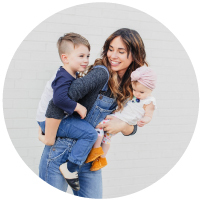 That's our mission at Babyganics, too, and we do it by making products that help families create their own baby-safe world." is what had me sayin', "Yeah, baby" in my best Austin Powers accent. I used this brand before partnering with them on this post, and I will continue to use this brand after. It's just a company I know helps me make the "best" decision for us. Thank you Babyganics for sponsoring this post!